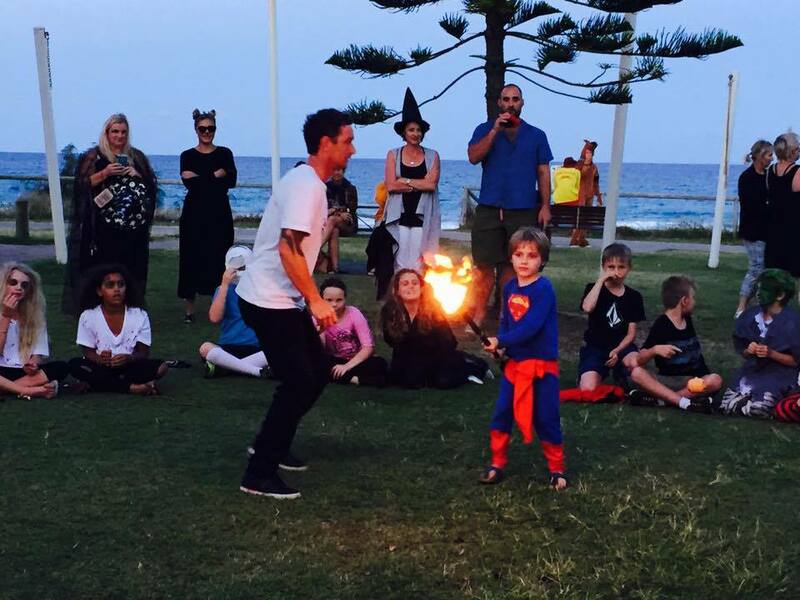 Energy Entertainments provided Tugun Surf Life Saving Club a Halloween special fire show and Body Flow workshop combined for the Tugun Nippers. 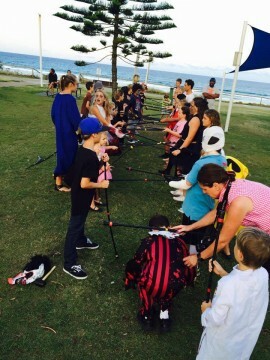 Body Flow coach Neal Webb constructed team building baton games with the nippers and taught baton twirling skills to increase the children’s focus, hand eye coordination, reflexes and concentration. After the games and skills part of the workshop Neal sat the children in a circle and explained the dangers of fire, the reasons to respect fire and to not play with fire without proper training and responsible adults present. 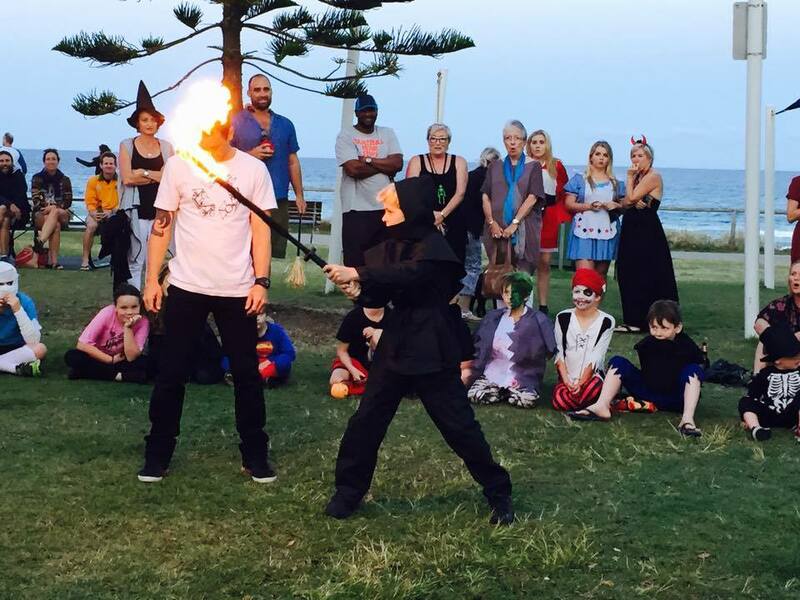 Each child had the chance to hold a fire sword or fire stick and feel the heat of this raging element. 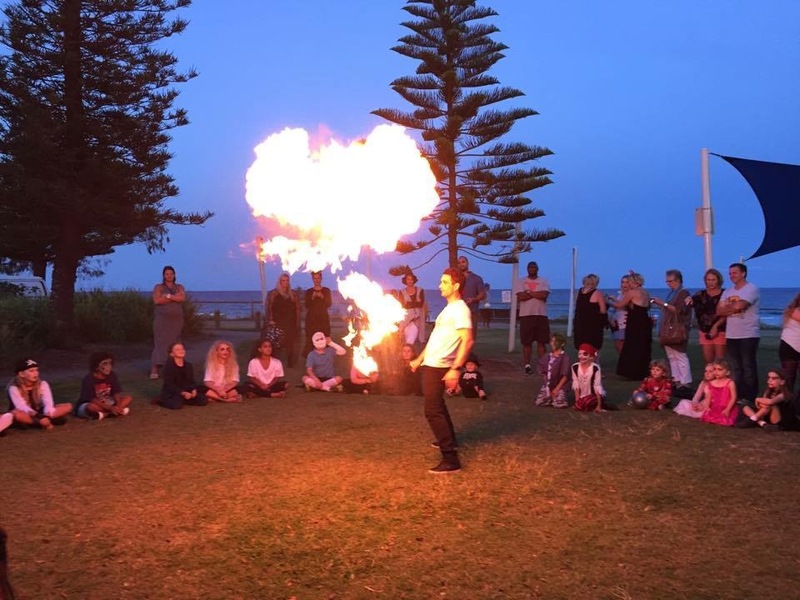 Energy Entertainments believe by having the chance to hold and control fire in a structured workshop the children will be less likely to be curious in the wrong situation alone or with friends where a responsible adult may be present. 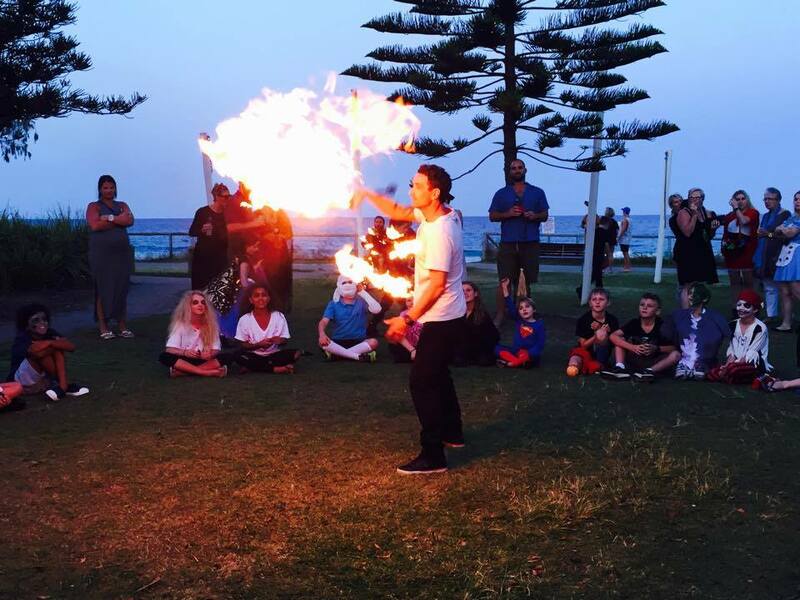 To finish Neal provided a fire show demonstration to entertain the children and their parents. 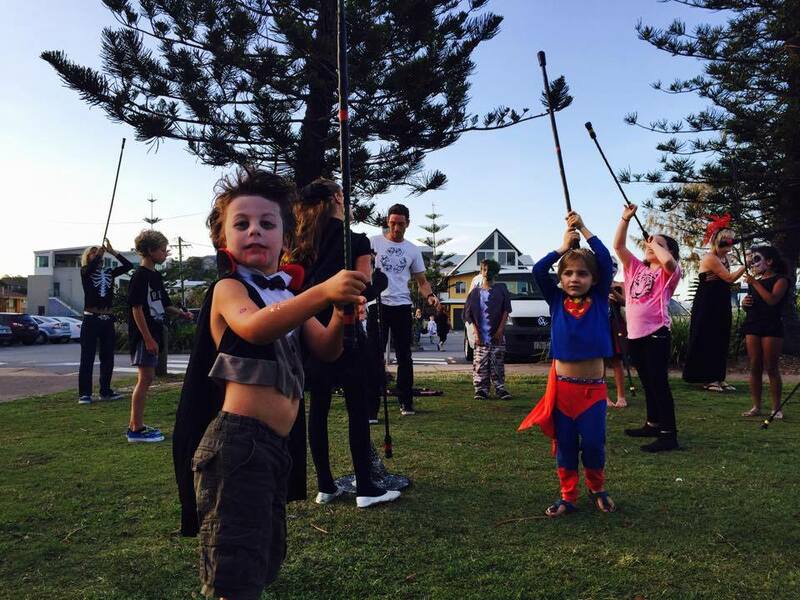 Thank you to Tugun Surf Life Saving Club for having Energy Entertainments ‘BodyFlow’ workshop on Halloween evening, the children looked amazingly scary all dressed up and they were a pleasure to teach and have fun with. 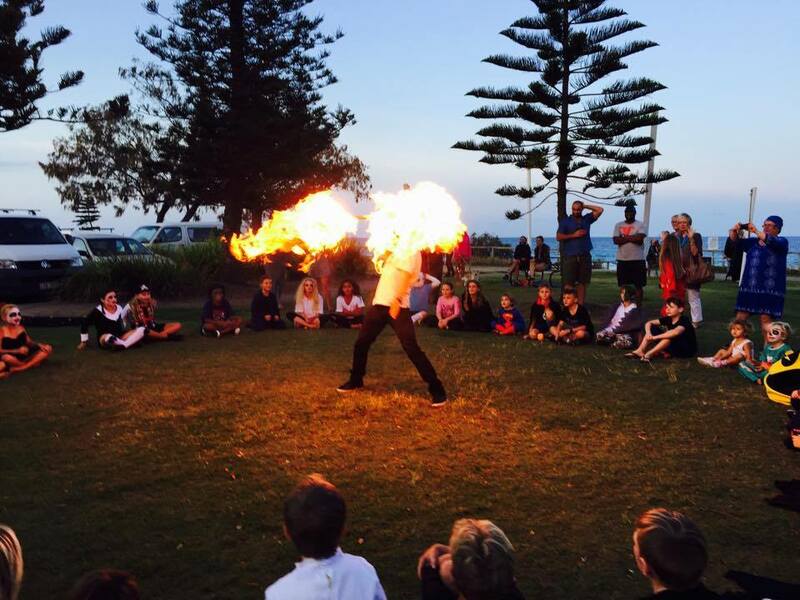 Body Flow children’s workshops for hire on the Gold Coast, Brisbane, Byron, Sydney, Australia-wide. Team building classes in schools, learning skills and playing games in baton twirling, poi, kung fu, juggling and ball skills. 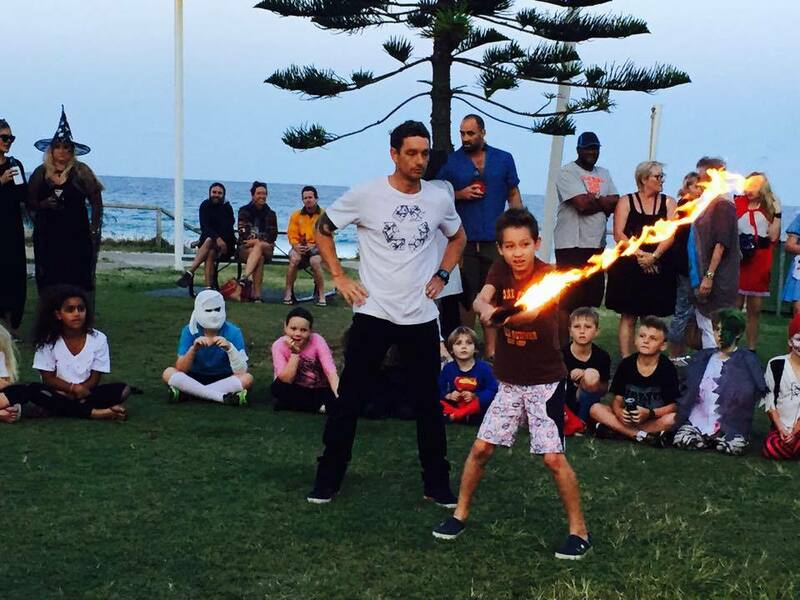 A fun workshop to keep children active and focused with games and functional movements, all skills taught will help in everyday situations the children will have to deal with. For more information about Body Flow classes visit the website and lets see how much practical fun the children can have. Active fun exercises help stimulate the mind and body for better performance in any area of learning.